Breakfast is often dubbed "the most important meal of the day," and with good reason. As Kids Health explains, your infant's body needs refueling after hours of fasting during sleep. Kids who skip breakfast may be cranky later in the day, and do not function at their best. Start your 11-month-old off right with a nutritious and appealing meal in the morning. Eleven-month-old babies can eat many table foods, but since they are not quite a year old, some ingredients may need to be changed in popular foods. 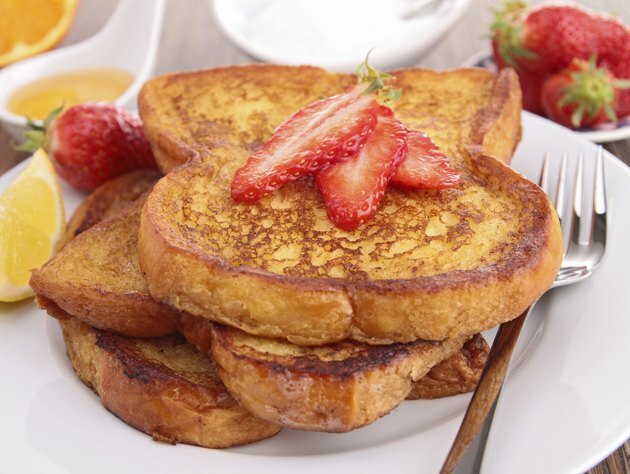 French toast is an easy-to-make and easy-to-eat food for older babies. Ask your pediatrician if it is safe to give your not-quite-1-year-old egg whites. If not, use only the yolks and milk to coat the bread. Since your baby should not drink cow's milk yet, use soy milk or baby formula to mix with the egg. Serve French toast plain; babies do not need cinnamon or syrup. Slice up some soft fruit, such as bananas or ripe peaches to serve alongside the French toast. If your baby still likes to be spoon-fed, yogurt is a good choice for breakfast. According to the American Academy of Pediatrics, yogurt and cheese are safe for children to eat after the age of 6 months. 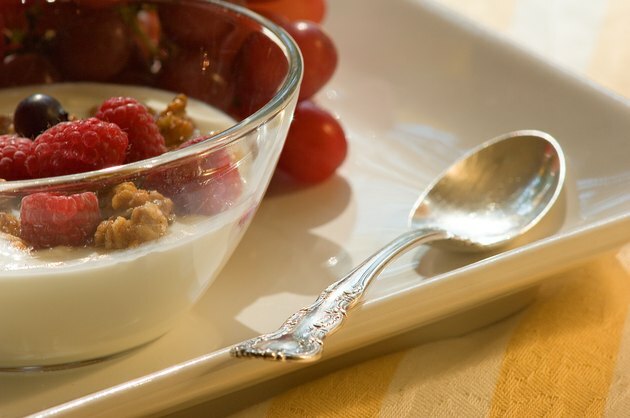 Try different flavors, such as banana and strawberry, or add your own tiny chunks or purees of fruit to vanilla yogurt. If your baby cannot eat dairy products, purchase soy-based yogurt instead. Place a handful of baby-friendly O-shaped cereal on his highchair tray for him to feed himself in between bites of yogurt. Remember not to buy the "honey nut" variety of cereal, because he should not eat honey or nut products until he is over 1 year old. 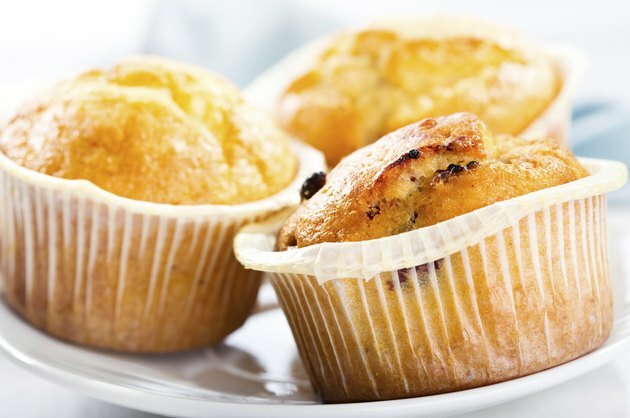 Homemade muffins can be chock-full of nutrients and are convenient. Freeze a batch and thaw one each evening for the next morning's breakfast. If you don't have time to make homemade muffins, add applesauce, grated carrot or mashed banana to packaged muffin mix for a healthy boost. Remember not to give your baby muffins that contain nuts, as these are a choking hazard. Also, check the ingredient labels for products that your baby should not be eating yet, such as egg whites and milk.